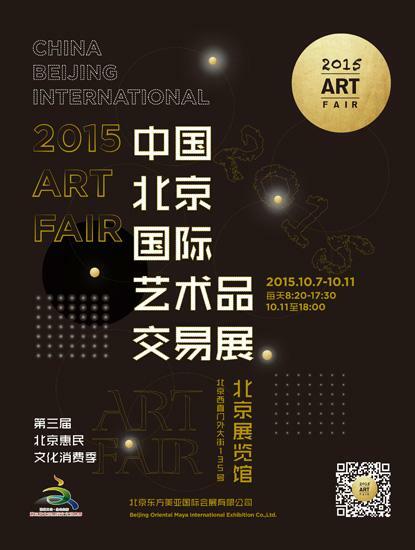 The 2015 China Beijing International Art Fair is set to open on Oct 7 at the Beijing Exhibition Center in the Chinese capital city,according to a news conference on Sunday. With the theme "Creation of Aesthetics in Life", the six-day cultural fair aims to build a platform for a wide range of art, such as paintings, cultural designs and sculptures. Relevant forums and lectures will be offered to the public. The exhibition area will stretch across a total 10,000 square meters of space, with 138 exhibition booths. Many different types of art from various countries and regions will be presented. "We want our citizens to walk into art and to fall in love with art," Chang Zekun, deputy director of Beijing's stated-own cultural asset watchdog, said when he made a speech at the news conference. He stressed that the event seeks to encourage people to buy art for their homes and bring art to the general public. One of the highlights is that masterpieces by members of the "Eight Families", eight artists and their families who are well-known in China and overseas, will be on display. These include renowned artists such as Xu Beihong, Qi Baishi and Li Kuchan. Authorized prints of paintings in the show will be available for sale. Additionally, the exhibition and artworks for sale will be put online at the same time. The cultural event will build closer ties with Baidu.com and Taobao.com, making it an "art trade fair where the curtain never falls". The six-day cultural event is organized by Beijing's stated-own cultural asset watchdog, the Beijing Chamber of Commerce of Cultural Consumption and Beijing Oriental Maya International Exhibition Co., Ltd.
More information is available on the event's official website: http://www.cbiaf.com/index.html.